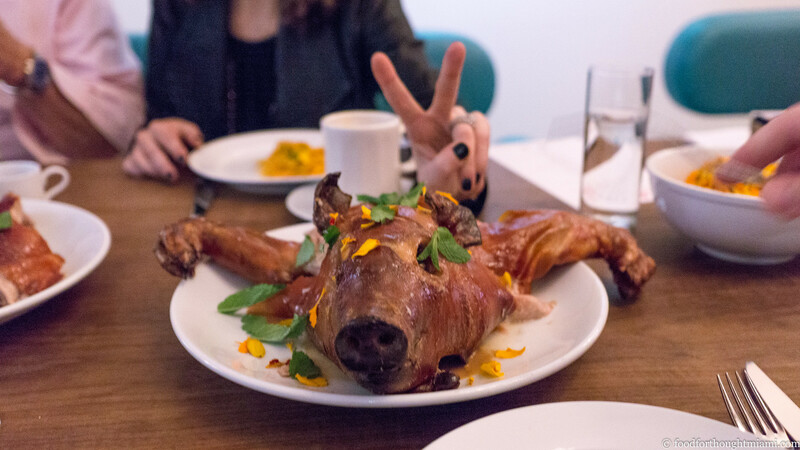 Last year, Cobaya Gourmet Guinea Pigs brought its talents to South Beach, teaming up for the first time with the South Beach Wine and Food Festival to put on a dinner together. That one worked out pretty nicely, so we decided to do it again. This time around, Chef Alex Chang (an alumnus of Cobaya Experiment #53) of the Vagabond on Biscayne Boulevard played host, Andrew Zimmern of Bizarre Foods made a repeat appearance, and Carlo Mirarchi of Blanca, the exceptional tasting-menu sibling to Roberta's Pizza in Brooklyn, joined us, along with Jon Shook and Vinny Dotolo, of Animal, Son of a Gun and several more new L.A. restaurants. It was another great night: an ideal location in the refurbished Vagabond Hotel, some great chefs serving some great dishes, and a really nice crowd that included a lot of Cobaya veterans, as well as a good number of SobeFest attendees who were new to our little experiments. We don't really get the chance to do anything of this size (over 100 guests) on our own, so it was a great opportunity to reach a broader group. 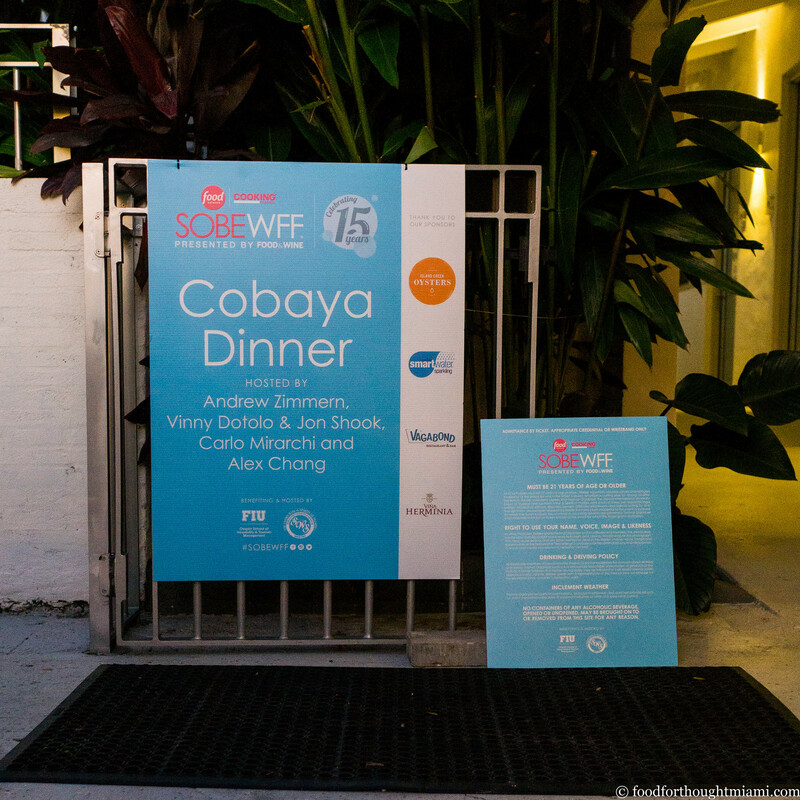 (You can see all my pictures in this Cobaya SoBeWFF 2016 flickr set). 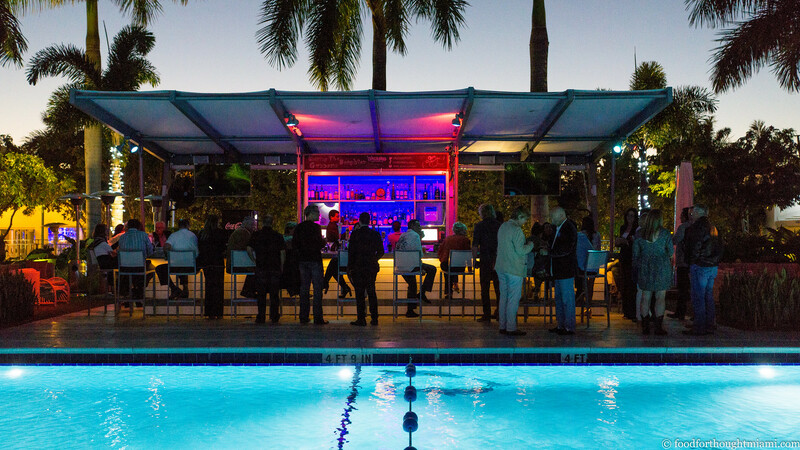 The festivities started with drinks at the bar by the Vagabond pool, including a concoction featuring Lustau manzanilla shery, Pimm's No. 1 and grapefruit soda garnished with mint, cucumber and berries. 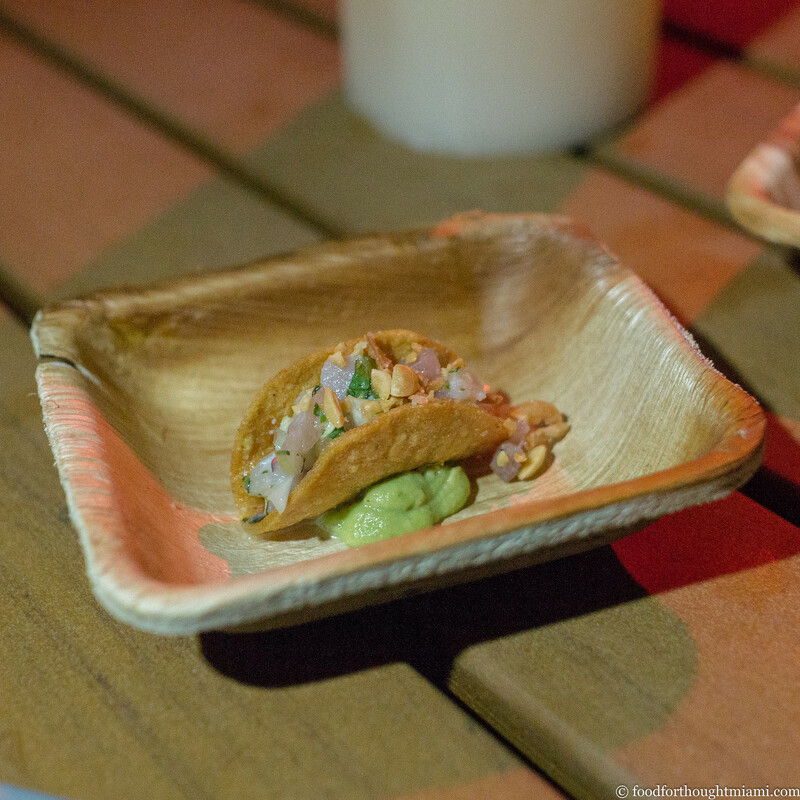 As the crowd gathered, bites from the chefs made their way around: from the Animal boys, crisp mini tacos filled with raw hamachi doused in fish sauce vinaigrette, with peanuts and avocado; a silky vichyssoise adorned with a citrus-cured oyster from Zimmern; shaved ribeye with black sapote and burnt eggplant folded into a nasturtium leaf, and snap peas bathed in a spicy leek oil and goat's milk from Chef Chang. 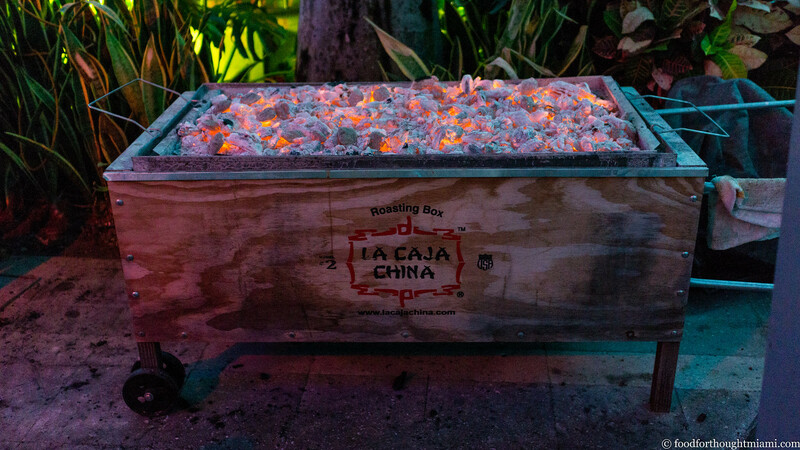 Behind the bar, a caja china loaded with glowing coals was a hint of things to come. 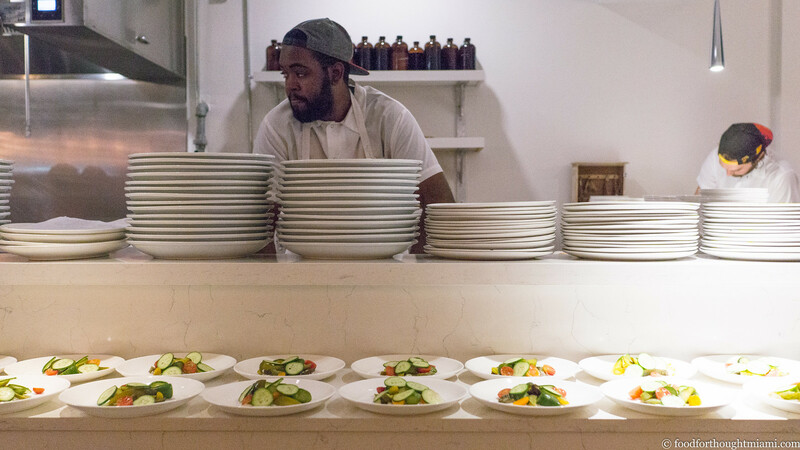 As the group meandered their way into the dining room, the kitchen was already busy plating the first course. 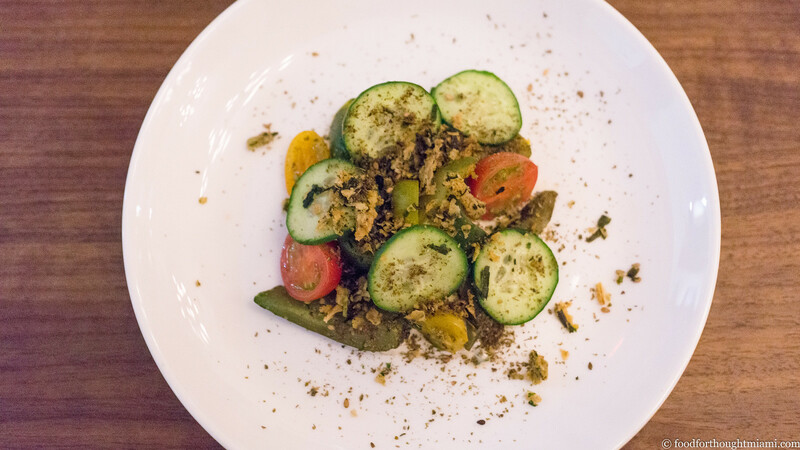 Jon and Vinny led off with a dish that combined cucumber in various fresh and pickled forms, together with sweet juicy cherry tomatoes and pickled peppers, all over a pickled ramp ranch dressing and dusted with a za'atar spiced crumble. There was a great mix of fresh and tart, pickle-y flavors here, that za'atar spice blend could go on just about anything and make it great, and anyone who doesn't love ranch dressing is just missing out. Like he did last year, Zimmern once again more than held his own among a group of incredibly talented restaurant chefs, serving what was my dish of the night: a spin on vitello tonnato that layered thin-sliced poached veal tongue over an anchovy-laden tuna and mayo dressing, paired with some bright fresh citrus, briny olives, chile oil-spiked fried capers, and delicate chickpea crackers. 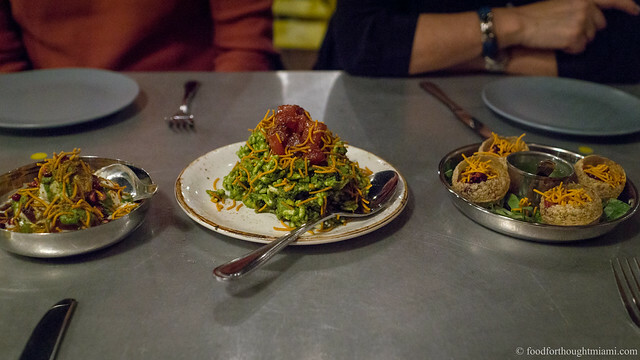 I said a bit more about the dish – and Zimmern's clever presentation of it – in an earlier post, when it was the "best thing I ate last week." Remember that caja china? Here's what was lurking inside: several plump little suckling pigs, marinated in condensed milk, their perfect burnished crackling skin revealing tender, cottony meat underneath (hand model credit to Rishia Zimmern). 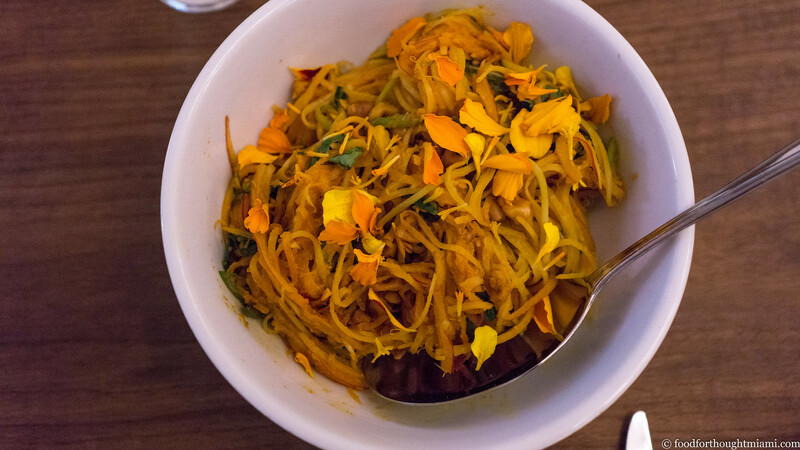 Chang served it with a beautiful shredded papaya salad given a golden hue and flowery brightness with preserved marigolds. Everyone dove in for their favorite parts: crisp skin, meaty rack, tender cheek, fatty snout (that was me). It's an interesting experience for us to do a dinner with a bigger group like this, particularly with many who may not yet have been indoctrinated into the ways of Cobaya. 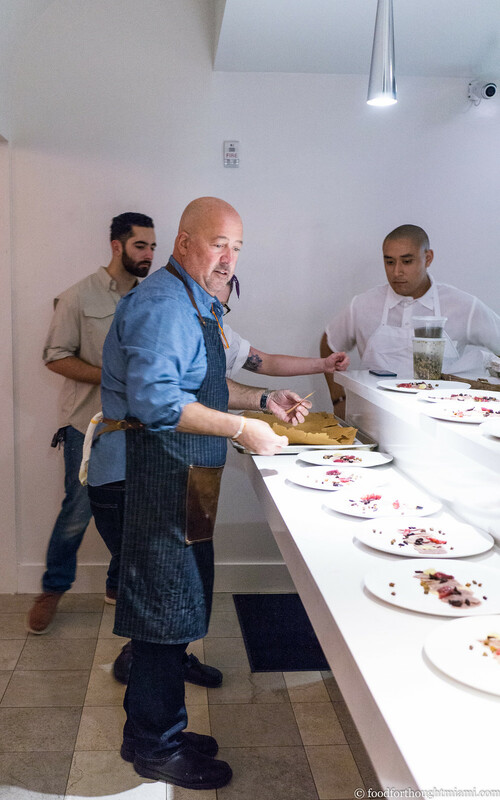 I mentioned before how funny it was to hear about a quarter of the room audibly gasp when Andrew Zimmern – midway into the course – explain that he'd used veal tongue for his dish. 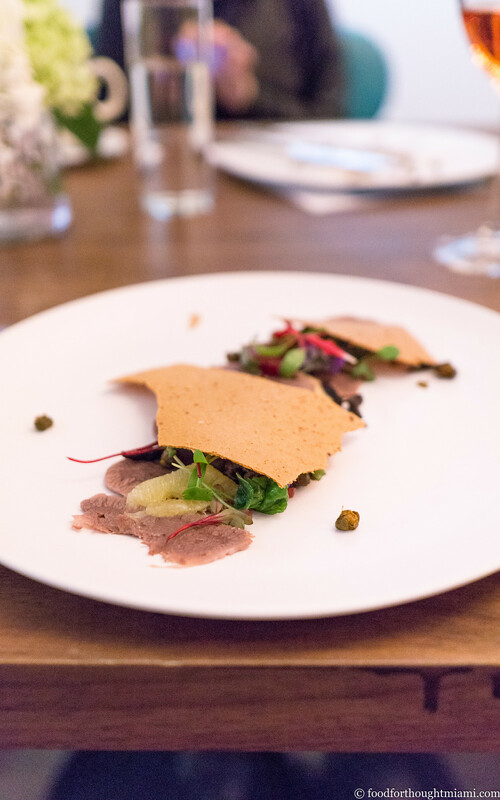 But I really hope that everyone enjoyed themselves, and am tremendously grateful to the chefs and their teams (especially Alex and crew at the Vagabond) who worked so hard to make this dinner happen. 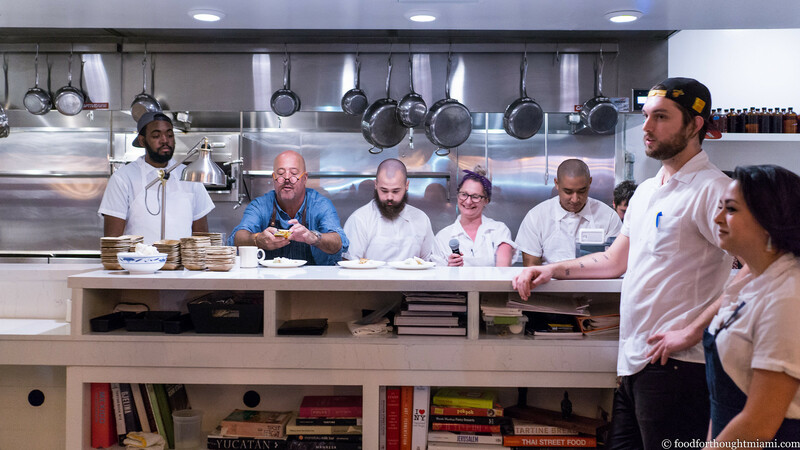 A great big thank you to Alex Chang, Andrew Zimmern, Jon Shook, Vinny Dotolo, Carlo Mirarchi, Sam Short, and all their crews; to the great team at the Vagabond who kept everything moving smoothly all night; to Lee Schrager for his support; to Ashley Shapiro, Suzanne Pallot, Dominique Shiekman and many others for all their hard work and persistence in pulling this together; and as always most of all, for the guinea pigs without whose support none of this would be possible. Bodegas Lustau, the great sherry producer, was the wine sponsor for the evening. Apparently I missed their sherries which they were pouring at the bar, but wines from their sibling brandsViña Herminia and Marqués de Irun accompanied the dinner courses, along with a very nice Lustau moscatel with dessert. 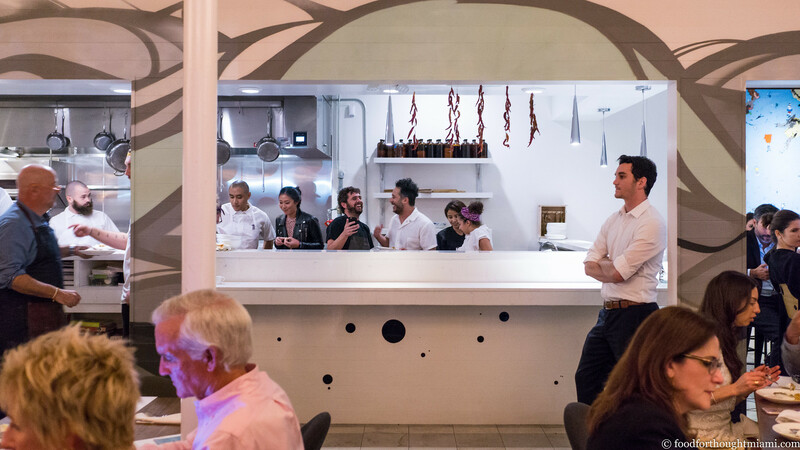 Despite some really exceptional food, I had a sort of mixed reaction to dining at Mirarchi's Blanca because of what I felt was a very standoff-ish, aloof vibe to the place. I think I may have misjudged Mirarchi. 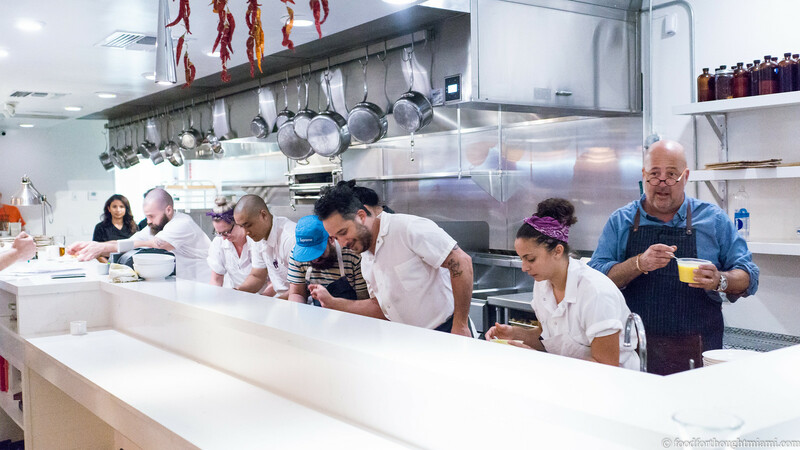 Not every chef wants to shmooze with the customers, and that's OK. Frankly, I don't blame them – I can be something of a misanthrope myself. (Though maybe you shouldn't design your restaurant to have an open kitchen with a dining counter around it then.) And to be very candid, I was also kind of concerned that his only contribution to this dinner was a dessert. 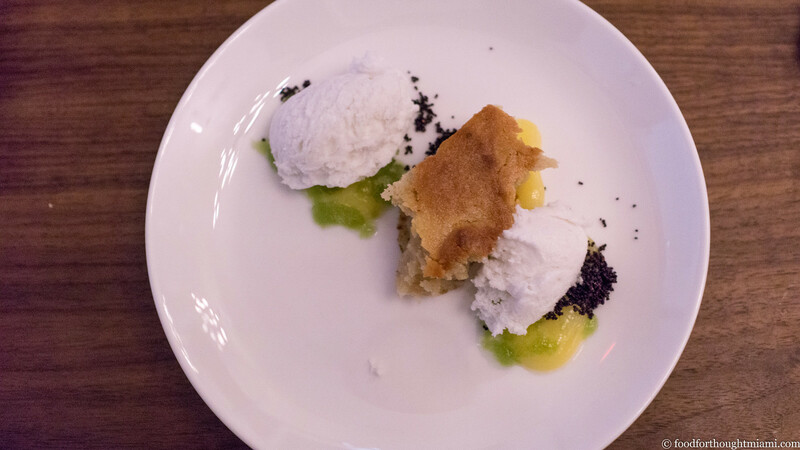 But that dessert was excellent, and it was obvious from watching the kitchen that he is a team player through and through – I don't think he left the line all night, helping every chef get every dish out to the dining room. 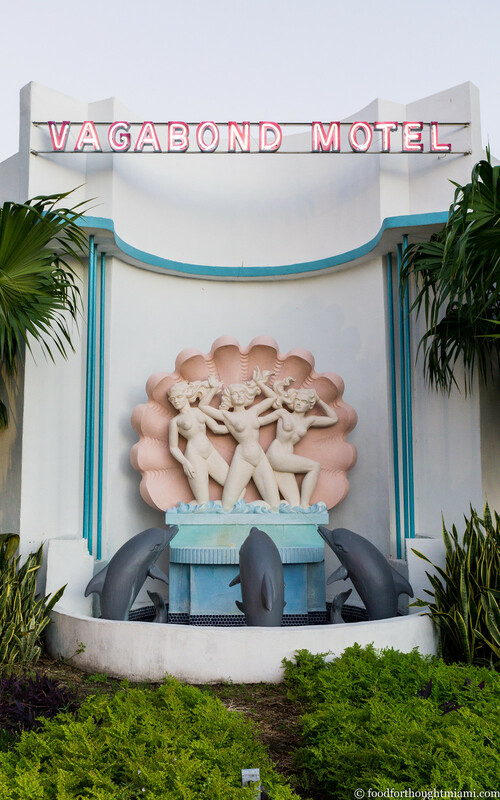 I kind of doubt that every two-Michelin-starred chef at SOBEWFF last weekend was doing the same. The guy is a mensch.